At Clay Pot Creative, we're passionate about taking care of our clients. It is hard to find a company these days that wouldn't benefit from some sort of web site. Not only is the Internet a great sales and marketing platform, it also has virtually limitless potential for streamlining business communications and operations. Our development services are customized to your unique needs and goals. We don't offer pre-packaged or cookie-cutter solutions because more times than not they yield disappointing results. We strive to build solutions that are scalable and can expand as your organization grows. You can depend on us for support over the long term – we'll be available when you are ready to take the next step. Give us a call. Since 2000, we've been building hand crafted marketing solutions. Beer is about a process. And so was creating this extraordinary website. It was built and designed to complement the custom illustrated Equinox Brewing logo. 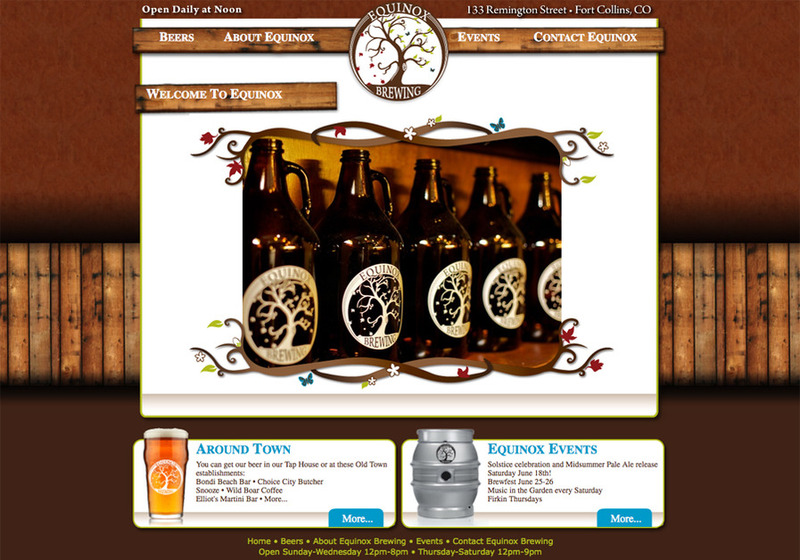 The logo brings the intrigue of equal day and night marking the changing of the season, while the website captures the fine craft of making and enjoying beer. We designed both to be as unique as the company's business plan (teaching others everything there is to know about beer.) We're proud to partner with Equinox Brewing who has carved a niche for itself in the brewing industry.